How can we help you reach your dreams today? You are a professional and a small business owner. If any one of these make you say, “that’s me” then we should talk at some point. If more than one of these points makes you say “yes, that’s me” then we need to talk soon. Very soon. And here’s why: we can help you get there sooner than you can on your own. There’s no question you have talent and skills, you are running your business. And now you want something more from it. 1. Understand. We help you get a good understanding of what your next steps are to reach your next level. And we provide you with the background information so you can make informed decisions over at the Local Small Business Academy. Go check it out. There are free and paid courses and information there to help you get your head around what you need to know. 2. Plan. As a professional and local small business owner, you know marketing is simply too important in today’s world to not have a solid plan. A plan that creates the results you need and gets your business in front of your best prospects and clients. Let’s sit down and review what’s working for your today and how we may be able to increase your per client income and get more clients in the door. 3. Take Action. You are a professional. You didn’t get to this point by sitting around daydreaming. It’s taken hard work and talent to acquire the skills you have and build your business to where it is today. As a local small business owner, you also know nothing happens until you take action. 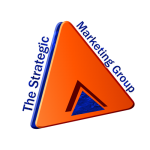 We create the marketing blueprint that makes focusing on the right “next step” easy. You’ll have your priorities in place based on your desired outcomes and objectives. So, the next step is in your hands. you can stay where you are and ignore the points above, knowing there are people here that can help you attain the outcomes you desire. Or, you can step up to your dreams and grab them by contacting me today. Here’s to your forward progress in business and life.